I am still continuing a plant based diet! I do allow myself one off plan meal a week. After that meal is over I am back on my plan. I am still losing weight. 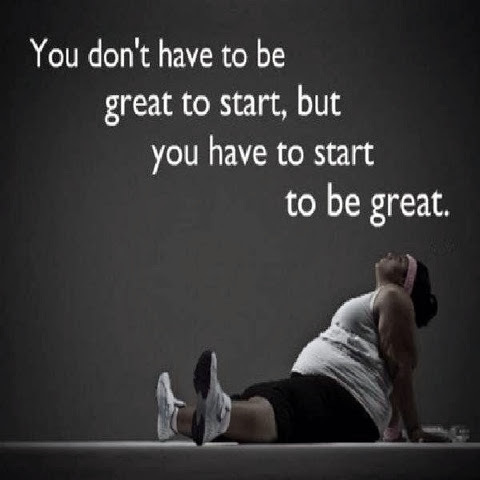 I am at 22.4 pounds lost and feeling great! 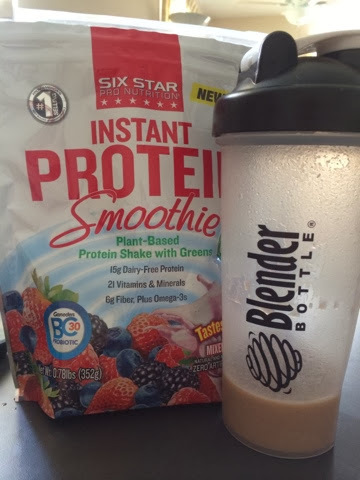 My doctor urged me to add a plant based protein shake and I have been making smoothies with it. I am really enjoying these smoothies! 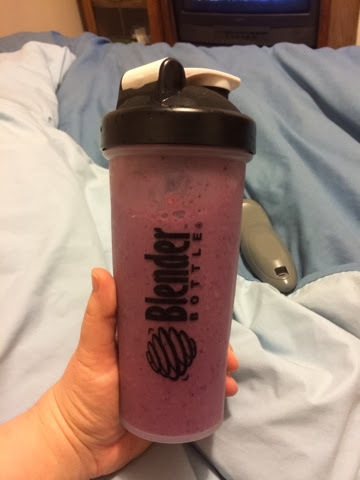 I have been adding 1/2 of a frozen banana, 1 cup of frozen berry mix, 1 cup of unsweetened almond milk, and 1/4 cup water. Occasionally, I add a Tbs of honey. I have been working hard at painting our apartment, and having check ups at the doctor. Today I had my yearly thyroid ultrasound. Fingers crossed for a clean test! 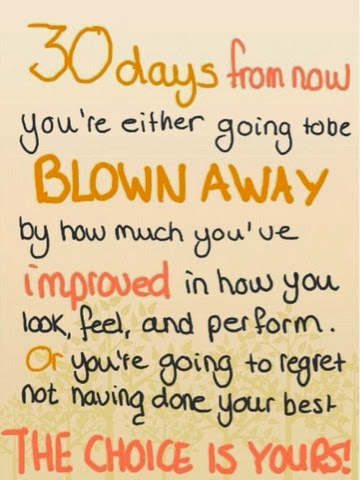 Hopefully, on Friday my doctor will re-order the bloodwork I had before my lifestyle change! Today for dinner I made tacos. It was an easy meal to make for both the carnivores and the herbivore in the family. For my carnivourous boys, I made a typical taco meat and for me I made a black bean filling. 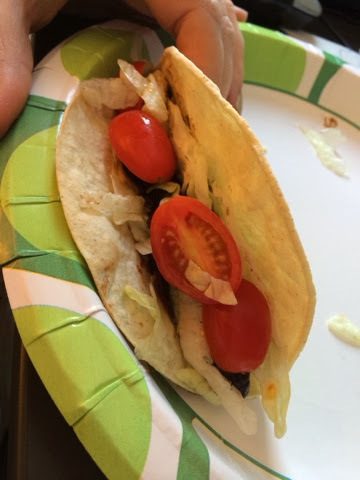 I seasoned the black beans as I would the taco meat, added some homemade salsa, and I baked some whole corn tortillas in the oven, topped with lettuce and tomato and it was great! I don't miss the meat at all. Next time I would like to add some corn and maybe some avocado. Check In and Check it Out! Just wanted to give you all a quick check in and the results of my base line bloodwork. I will also give you a quick run down of what my cardiologist had to say. So, all of the blood work was okay except for the triglycerides and HDL. My cardiologist believes it's from my unstable thyroid levels and will be improved once my TSH levels out and they drop my thyroid levels. That will be at my 5 year mark and cure date for my cancer. What am I eating? My staples at this point seem to be red grapefruit, baked potatoes, rice, and a soup. I have made both a vegan chili and a veggie soup, bananas, frozen mixed fruit. I am so glad I chose to participate in this challenge! Today is Wednesday and day 10 of the Engine 2 28 day challenge. The weekend was full of opportunities to make bad choices but I won! I did not give in! 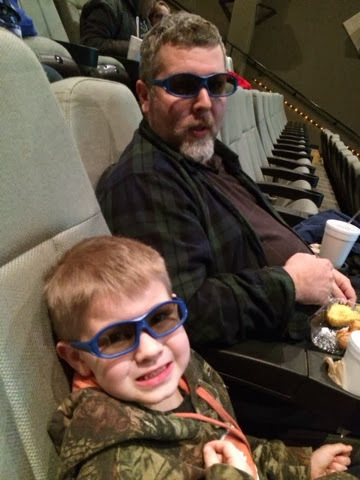 Friday night we took our son to see The Lego Movie. While my husband and son ate soft pretzels with cheese dip I had a nut mix with almonds, pistachios, and cashews. I also made the Buffalo Ranch Roasted Chickpeas. Saturday my sister invited all the kids over to play and ordered pizza for everyone... It smelled fantastic... But I went prepared with my sweet potato. When I got home my husband had made cinnamon rolls... So I retreated to my bedroom with my grapefruit. By Monday I was feeling great with the choices I had made... It was so nice to not have to deal with the regret and feeling of failure from cheating. This week is going well, I'm falling into more of a routine, knowing what I can or can't have. I'm sleeping better and sleeping less. I wake up at a normal time and don't nap during the day. I am keeping track if my food in a journal and have counted calories out if curiosity... And to my surprise I have been eating fewer calories and have been keeping full. 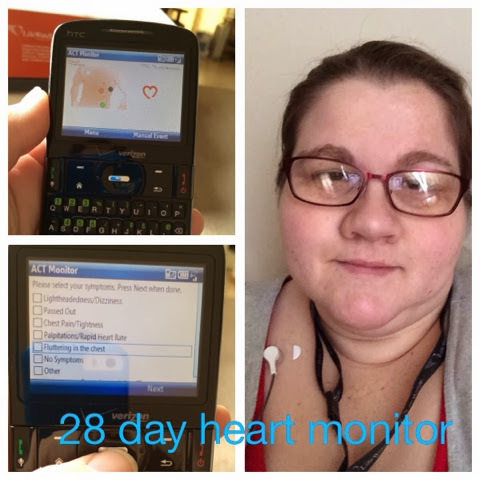 I see my cardiologist today, I am hoping he will agree to let me remove the ACT heart monitor I am on. Now I have to go to the doctors office and then I am volunteering at the school book fair.